The Cleveland Browns have trudged through one of the worst seasons in NFL history. They’re not a very good team and they haven’t been for more than a decade, missing the playoffs every year since 2003. Cleveland has only had one winning record since then, which is tiresome and frustrating for both players and fans. 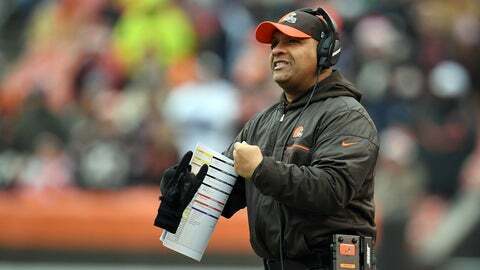 While the Browns have been atrocious for years, the rest of Cleveland’s teams haven’t been. The Cavs won the NBA title this past year while the Indians were one win from a World Series championship. So how exactly do the Browns catch up to their Ohio counterparts? It won’t be easy or immediate, but they can take a huge step forward in 2017. By following these seven steps, the Browns can at least make it back to .500 and possibly contend for a postseason berth. I know – crazy, right? This should be an obvious decision but one that warrants mentioning. Hue Jackson isn’t seemingly on the hot seat despite the Browns’ disastrous season, and he shouldn’t be. Ownership needs to give him time to develop his own guys and build the roster the way he wants to. Cleveland had more than 10 rookies on the active roster to begin the year, which obviously means there’s room to grow. 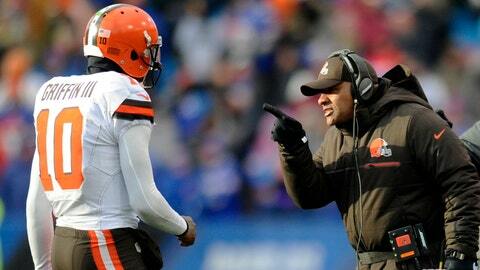 The Browns need stability at head coach and Jackson has the ability to bring that. He’s invested in changing the culture, and Cleveland should be too. Super Bowls are won in the trenches. The Cowboys, Raiders, and Steelers all have good offensive lines, and it’s no surprise they’re among the best teams in football. The Seahawks, Giants and Chiefs all have great defensive fronts, which are the strong suits of their rosters. The Browns need to follow this mold of building from the outside in, adding pieces on the offensive and defensive lines. Despite public perception, the Browns actually had a decent offensive line this season, with the exception of Cam Erving. That’s a start, and with Joe Thomas anchoring the left side, the quarterbacks’ blindside will always be in good hands. On defense, guys like Emmanuel Ogbah and Carl Nassib will develop in Year 2 as Danny Shelton did, which brings promise. Adding Myles Garrett or Jonathan Allen would be huge for a team like Cleveland. The Browns did a good job of this in the 2016 draft, despite the class mostly being a flop in Year 1. In the early rounds, they tried to give the defensive and offensive lines some attention, drafting players on both sides. However, in 2017, the Browns can’t go for the flashy picks. They have to stick to their board and not get enticed by a player like Christian McCaffrey in the first round or a talented receiver with potential but the need for development. 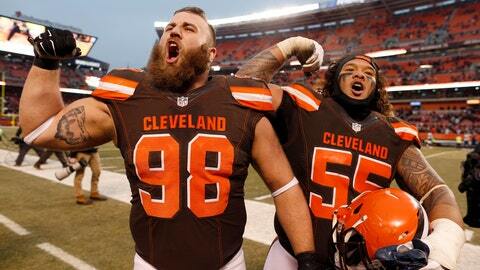 Cleveland needs to draft NFL-ready players who can come in and contribute right away. No projects. No team has more cap space going into 2017 than the Browns. They’re expected to have more than $107 million available, which is $20 million more than any other team. As a result, they’ll be able to go out and land just about any free agent they’d like. That doesn’t mean they should go out and spend like maniacs, though. They’ll need to use some of that space to sign their own guys like Terrelle Pryor and Jamie Collins, but money won’t be an issue for this team. 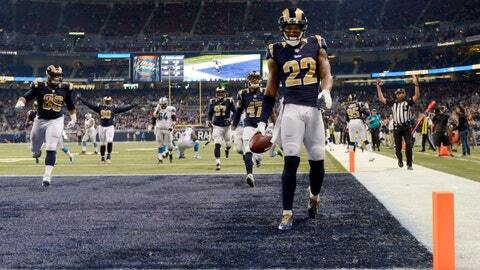 Trumaine Johnson is one player the Browns should target if he hits the open market. He’s a long, rangy cornerback who loves to play physical defense – something Hue Jackson instils in his players. He can help shore up the secondary with the possibility that Joe Haden is cut by the team. Johnson can pair with Briean Boddy-Calhoun at cornerback to give the Browns a formidable, young duo. With their second first-round pick, the Browns can turn to the offense – not before then, though. There isn’t an Andrew Luck or a Cam Newton or a Jameis Winston in this draft, which is unfortunate considering it could be the first time Cleveland has the top overall pick since 2000. 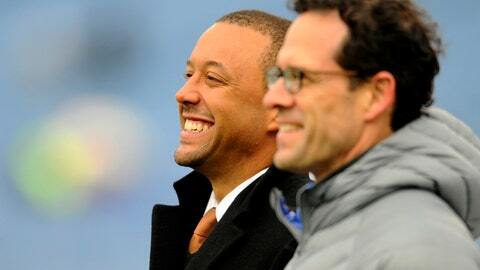 So rather than reaching for a quarterback at the top of the draft, the Browns can be patient. Really patient. That doesn’t mean they can’t take a signal caller in the first, of course. They just can’t afford to reach for one. Rather, the Browns have to see if one falls to them with their second pick, be it in the top-10 or in the middle of the round. 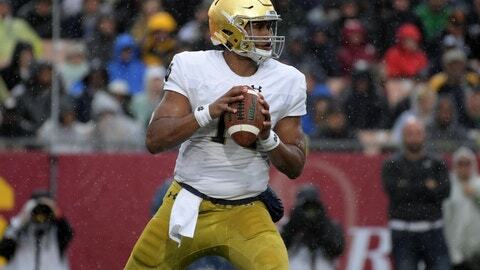 And if the top guys like DeShone Kizer, Deshaun Watson and Mitch Trubisky aren’t there, wait. The Raiders found Derek Carr in the second and the Cowboys got lucky with Dak Prescott in the fourth. There’s no need to reach for a quarterback – even if you’re the Browns. If Cleveland waits until the third, fourth, or fifth round to take a quarterback, it’ll be fine. They have Cody Kessler to bridge the gap, and even keeping Robert Griffin III for another season is conceivable with all their cap space. The Browns are fortunate to have not just one pick in the first round, but two. This allows them to have some flexibility when it comes to their first selection, which is guaranteed to be in the top two, likely first overall. If they only had one selection in the first, it would have been hard for them to pass up a quarterback. However, that’s not the case, and there are a couple of very deserving defenders worthy of the No. 1 pick. 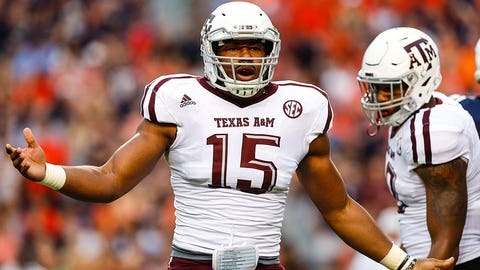 Myles Garrett, whom the Browns reportedly love, and Jonathan Allen are two defensive studs who can take Cleveland to new heights. They can be Joey Bosa-type players with the ability to rush the passer and stop the run. And there isn’t a Browns fan out there who doesn’t love what Bosa’s done for the Chargers. This should be an easy decision for Cleveland at the top of the draft. Priority No. 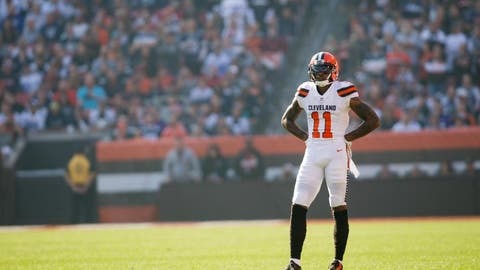 1 this offseason has to be re-signing both Terrelle Pryor and Jamie Collins. Not one of them – both players. They have the ability to be cornerstones of the franchise for several reasons. Both players are young, relatively durable and have freakish athletic ability at their respective positions. Not to mention, in Pryor’s case, he’s young on experience, having played just one year of full-time receiver. Collins, more so than Pryor, is a must-have for the Browns. They gave up a third-round pick to get him, which is a high price to pay for a rental player in a lost season – even if they do receive a compensatory pick in the offseason. He’s a playmaker on defense, giving the Browns a guy they can build around on that side of the ball.